Sayulita, the Riviera Nayarit’s Capital of Surf, was well represented during the recent Stand Up Paddle and Paddleboard competitions held in Santa Monica, California, where local paddler and surfer Javier “Bicho” Jiménez won 3rd place. The Santa Monica Pier Paddleboard race, a professional stand up paddle (SUP) and paddleboard competition was held in early June. During the tournament, Mexico was well represented by surfers and paddlers Javier “Bicho” Jiménez and Fernando Stalla. This time around, “Bicho” won third place against the best athletes in the world. Fernando took seventh place. Sayulita, the Surf Capital of the Riviera Nayarit, is home to the majority of the paddlers and surfers that make up the Mexican SUP and Paddleboard team. This is why the top surf athletes from Nayarit end up representing the country in international competitions. In one of the articles published after the Santa Monica race the author stated “And most entertaining of all was the work of Mexico’s rising star Javier ‘Bicho’ Jimenez,” in recognition of this Mexican talent. A few days later, Jiménez placed first in long distance and second in technical during a race in San Diego, California. 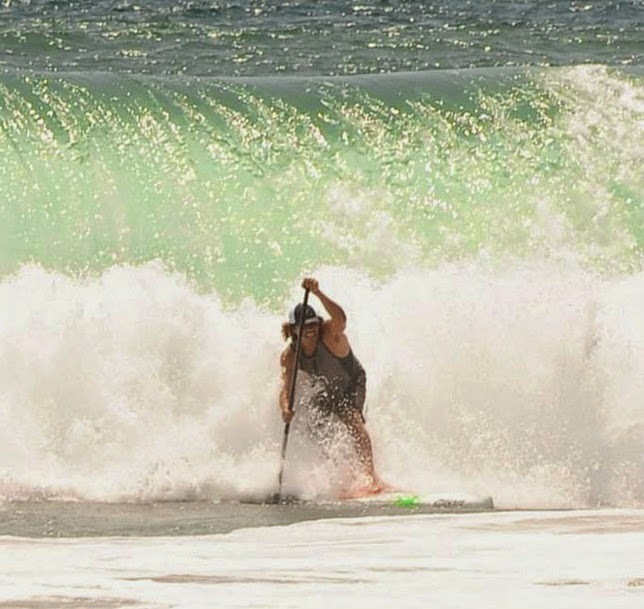 “BIcho” will also participate in several other tournaments this year including: The South Bay Dozen and Race The Lake Of The Sky, both in June; the Stand Up World Series Huntington Beach in September and the Battle Of The Paddle in October. The latter is one of the most important competitions at a global level. The Riviera Nayarit Convention and Visitors Bureau would like to extend its congratulations to all the surfers and paddlers in the Riviera Nayarit that represent Mexico around the world.